The last film I watched with my mother in a movie hall was the 2015 Room, based on Emma Donoghue’s Booker-shortlisted novel. Two things about that sentence. First: our last film. That sounds bleak and final, and I hope there will be more to come, but at the time of writing there is more reason to be cautious than optimistic. Second: it wasn’t just the last film we saw together in a hall, it was also the last film we saw together, period. And I can’t think of the last time we saw a whole film together in a more casual, everyday situation, just sitting in front of a TV set while chatting. But I’ll return to these points. Here’s how Room became that film. Years ago, before I had read the Donoghue or even known exactly what it was about, I realised that my mother had developed an attachment to it. The novel sat prominently for months on the table where she selected and stacked books that had come to me from various publishers, and whose titles or synopses -- or jacket covers -- she had found intriguing. The great majority of those books were abandoned after a few pages when she found they weren’t up her street, but Room she finished, over many sessions of sporadic reading: putting the book down after a few pages, returning to it between her dalliances with less demanding things such as movie magazines. It wasn’t until I heard about the upcoming film version, and read plot details online, that I learnt what Room was about. And then, knowing that the film was going to show in Delhi and that mum might like to see it, I read the novel myself as preparation, and found myself thinking anew about what she might have found so compelling. Room is told in the voice of a five-year-old boy who has spent his whole life with his mother in a single small room where she has been kept captive since being kidnapped as a teenager. Here are two people who have been victims of a terrible, ongoing crime -- one of them in full possession of the facts, nurturing and guarding and making up stories for the other, who is still innocent and unaware that there is a life and a world beyond the tiny space he has known all his short life. This is, needless to say, an extraordinary narrative situation. The broad premise, and what occurs within it, might be considered unrealistic -- or at least, very improbable -- but it also contains an allegory for aspects of a more “normal” mother-child relationship, especially a close one that involves a great deal of mutual interdependence. First there is the womb, a safe space from which the child must eventually be ejected to discover the outside world; and then, in that outside world, there is a still larger “room”, the sheltering one of parenthood, which this infant will stay encased in for at least a few years. Simultaneously the parent must prepare to “free” herself from the belief -- with its attendant agonies and ecstasies -- that she alone can walk her child through life. Still, I wonder if she thought about my childhood. Jai is eight. He and his mother stay locked up in a room at the end of the house, down the hall -- not all the time, but on days when things are especially bad at home; when the big bad wolf huffs and puffs and threatens to blow the door down. We were always exceptionally close. She was my life-raft on a sea of uncertainty, at an age when I barely knew enough to be certain or uncertain about anything; a shield not just from my father’s unpredictable, alcohol-fuelled violence but also -- and this I realised only much later -- from the possibility of my becoming over-pampered, turned into a privileged lout, by well-off grandparents trying too hard to compensate for their son’s behaviour. I don’t want to get too dramatic about this: our lives were never close to being as bad as those of Room’s protagonists. The terrifying memories -- of my father hammering on a locked door, or overturning a huge, heaped dining table with unfathomable strength, or physically assaulting a Sikh priest who was reading from the Granth Sahib during an akhand paath in our house -- intersect with other memories of going to school; going (once in a while) to friends’ parties; of mum taking up a part-time job as a doctor’s receptionist when she found that her monthly pocket money wasn’t enough (and maybe that she needed to feel useful). But the bad memories are always there too, and aspects of our life certainly felt horror film-ish -- the many times we had to sneak out when it got dark, for instance, and spend a scared night at a neighbour’s place, or in the maid’s quarters behind the house. A few years after this, my interest in cinema as something one could think about, read in depth about, perhaps even write professionally about one day, began with Alfred Hitchcock’s Psycho, and the reservoirs of film literature it led me to. By this point my mother and I were leading secure enough lives that it was possible to smile at the film’s macabre Oedipal theme. Mum (or Amma as I have always called her for some reason, late as it is in this piece to reveal such a central piece of information) told me how, in the early 1960s when the film released in Bombay, her brother came home and solemnly informed their mother that he would like to have her “mummified” after she had passed on. Imprisonment, Dependence, Liberation, Self-discovery, Stagnation… those are some big themes, and despite my professed reluctance to get dramatic, I can’t help returning to them. And it isn’t just by chance that I have been talking about two films that involve very intense mother-son relationships and the very unusual situations in which those relationships grow, ossify or decay. I have in recent years become aware of a glitch in my relationship with my mother. Put briefly: it seems that our closeness has almost always been founded on big things -- the Important and the Dramatic -- and not enough on the minutiae of life; the Casual, the Mundane. From the beginning we always shared the really important stuff, and I never thought this was unusual until I heard stories about all the things my friends -- even the ones from the seemingly open-minded, cosmopolitan families -- routinely hid from their parents: about girlfriends, or bunking college, or their first cigarette. When I took my girlfriend -- a young woman in an unhappy marriage, on the brink of separation -- across to meet my mother for the first time, I felt none of the nervousness that most other young people I knew would feel in that situation. It was the most natural thing to do. And this flowed from how things had always been between us, from my mother’s own openness. When I couldn’t have been more than 12 or 13, she told me about the marriage proposal she had got from an uncle, a childhood friend who had always held a torch for her, and how she had been very tempted but didn’t take it up because it would mean relocating to Lagos, too large a bridge for us to cross at that point in our lives. On another occasion, when the husband of one of her neighbourhood friends made a sexual overture -- figuring that a divorced woman was easy pickings -- I was the first to hear of it, and to be privy to her shock as well as her fear that she may have brought it upon herself by bantering with him at social gatherings. My mother and I never quite learnt these lessons -- or perhaps we knew them once and gradually became careless about them. 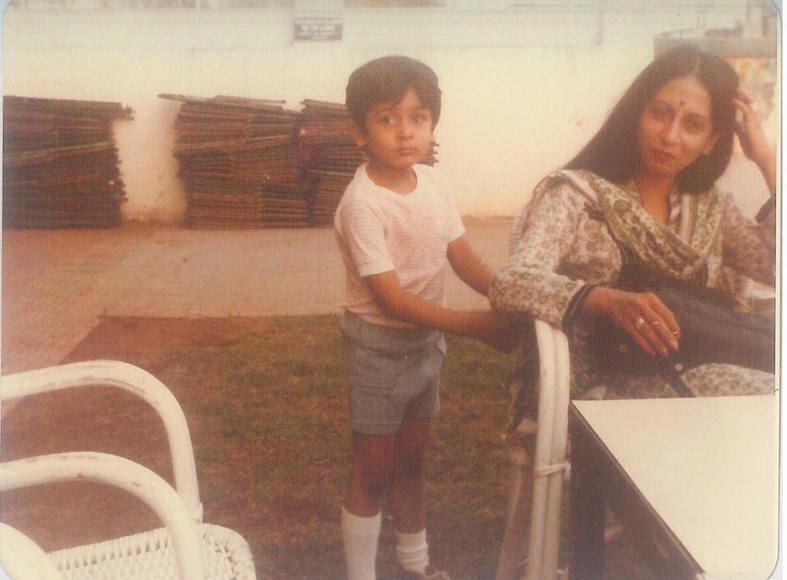 Partly this was a personality matter -- both of us being, to different degrees, very private people -- and partly a result of circumstances; for many years while growing up I was intimidated by my nani’s boisterous personality and kept to my room while she was around. But it also reflects the growing-away-from-a-parent process that everyone (except, maybe, a Norman Bates) goes through. The second half of Donoghue’s Room is made sharply poignant by the mother’s realisation that her son will never again be as dependent on her as he was during their years of incarceration. 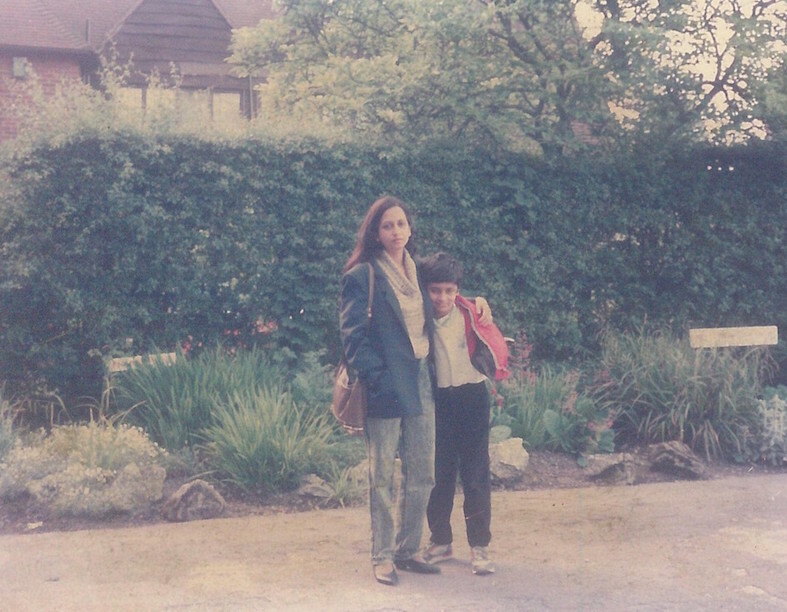 I have never really lived away from my mother -- even after getting married and shifting to another flat in the same colony, I continued spending my working day as a freelance writer in my old room, my comfort zone, in her house. But like most children do, I moved away in other ways: into new worlds populated by new friends, into a job and the circles it introduced me to, but also into my own inner spaces. There was a time, long ago, when we played Scrabble together, or watched TV shows together, in the first years after satellite TV came to India. This gradually stopped. 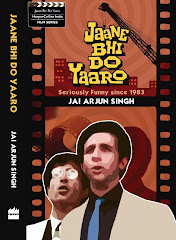 As I became embarrassed by the tackiness of some of the Hindi films we rented and watched on videocassette every Friday, I started lingering about outside the room where mum and nani were watching the film -- and shortly afterwards, I moved away from Hindi cinema altogether, and into new realms that excluded my mother. One thing followed another, and casual conversation became increasingly hard; we rarely even sat down and had meals together. Despite living in the same house, we became… not estranged, but something else -- something I don’t know the word for. Can a relationship that is really, really close in essence also be distant and awkward in some important contexts? And when a new sort of special situation comes around -- one that demands an everyday intimacy -- what then? World-altering though that moment was, it’s almost funny when I think of it now. The fan whirring above us. A reality show playing on low volume in the background. Me, having come into her room, knowing her aversion to doctors and hospitals, with a speech carefully prepared to put her at ease (“We’ll go once, it’ll take just 10 minutes, you can tell them what medicines you’ve been taking, they’ll tell us if there’s something else you should be doing, and that’s it... you don’t have to agree to any intrusive procedures or examinations if you aren’t comfortable”), the deadpan look on her face as I recited the first two or three sentences of that speech -- as casually as I could, looking around as I said the words, at the dog, at the TV, so she wouldn’t think I was arm-twisting her -- and then her interrupting me with her grand revelation: oh no, this is the start of something much bigger than you think. Another case of what should have been a quotidian exchange turning into something larger than life, like old Hindi movies about terminally ill patients. Another demonstration that the ‘Casual’ switch is jammed when it comes to the two of us. In the weeks that followed -- a fortnight-long hospital stint precipitated by a worried-looking oncologist saying “Can we admit her right now? It’s important”; the realization that my mother, with her ridiculously high pain threshold, had a cancer-caused crack in her spine, which had to be mended before anything else could be done; the days and nights divided between handling things in the hospital and looking after our high-strung canine child Lara, who had been completely dependent on mum; watching the deterioration and immobilization of a woman who, to my eyes at least, had seemed in decent shape for her 63 years just a few weeks earlier, certainly capable of living alone -- through all this and more, I had plenty of time to wonder how it had come to this: how a mother whom I saw every day had been diagnosed so late that the disease was almost certainly incurable; why it had to be her closest friend, an aunt who lived downstairs, who alerted me with a couple of phone calls to say that mum was in so much pain late at night that she had -- and this was the biggest red light of all -- been unable to feed Lara. And, naturally, I couldn’t help thinking that if I had spent more “casual” time with her in the previous few months -- even sitting around in the evenings in her room for 15-20 minutes each day while she watched TV or listened to music -- I would have been more alert to the little signs, the displays of pain that she had kept hidden. One side-effect of mum’s chemotherapy is that it has made her sentimental about little things, and at unexpected times. One day, apropos of nothing, she asked if I would massage her aching shoulder for a bit -- and then, smiling, squeezing my hand, told her nurse that I had “the healing touch”. And I winced. Only momentarily, but I couldn’t help it; this overt display of closeness and affection was discomfiting. Visiting the toy store Hamleys with a friend and his little daughter the next day, I idly glanced at art-and-craft games that I thought might be useful for mum -- not so much to pass the time but to keep her mind active, since people with lesions in the brain, and risk of seizures or mental atrophy, need to do this. Soon I realised that I was looking mainly at the one-person activities. Given that I had flexible working hours, which I mostly spent in her house, shouldn’t I have made an effort to find something we could share, if only for a few minutes each day? Was I nervous about the small talk that would inevitably accompany such a joint endeavour? Or was I afraid that such proximity would make me privy to the involuntary groans of pain that came from her when she moved her shoulder or back at an awkward angle? And in either case, what did that say about me -- “such a good, dutiful son”, as I am often called by visitors to the house? But even with the knowledge that time may be running out and every day is precious, how do you suddenly begin doing the things you haven’t been accustomed to doing for years? How do you force yourself to sit down and chat about “trivial” or “inconsequential” things, or just play Scrabble, with a parent-patient who might need a psychological boost, when the two of you have long fallen out of that habit and become locked in your own little boxes? Inevitably, given the situation, the bulk of our interactions are about urgent and important things: I walk into her room at fixed intervals to check on her medicine intake and her meals, to confirm a blood-sample appointment, to discuss contacting a new nursing agency when the current one raises its fees. But I’m also making efforts now -- small, self-conscious, not very successful ones -- to turns things around: to chat with her about the currency situation, or banter about whether her post-cancer wig is more convincing than Donald Trump’s real hair, or show her a joke someone had shared on Facebook. Still confined to our own rooms. Stuck in private traps. But trying. Sending light and prayers your way and hoping that Maa ji will get well soon. This was a strangely moving and comforting piece from you, I am in a similar zone, caring for an ailing mother all alone. Somewhere I felt I was looking at my own diary. This piece captures a parent-child relationship in much lesser words and with a lot more quality than many longer works. I hope your mother's health improves. Talking of 'Room' as in a physical space and context, I always wonder that two very close people wouldn't be close if the city or the neighbourhood or the house were different. It's funny deep within we all make much of ourselves little realising the physical space around us which made us so, made us friendly or close to some people and minus that it will comes down to almost nil. I pray for your mother's and your well-being! Such a moving post! And such honesty! 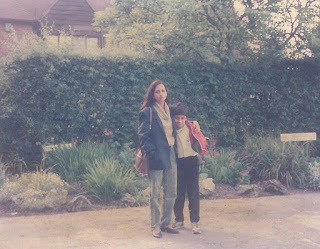 It is making me introspect about my own relationship with my mother. My relationship with my mother changed substantively after the death of my father. I started talking to her more and also opened up with her. Earlier I used to hide things from her or evade questions from my parents, and now I voluntarily discuss many issues. But another emotion that also tinges our relationship is guilt. Mine, for not being the ideal daughter. Maybe your post would give me the courage to address this also. You allude to the neighbours calling u 'a good dutiful son' in a self-deprecating way, but you have been a very good son to her and have been taking care of her, and you've been a good grandson to your grandparents as well. Hope I can be the same to my parents as they get older. Everyone (certainly most people) want to do the right thing by their parents but how many manage to. It's one of those things that are much easier said than done. About your not picking up signs that she was unwell, and this being because of the particular dynamic you both share; we can't always anticipate everything. You're trying to change that now. Wishing you and your mother the best. I am sorry that I could not read through this post - it is difficult to go through and it reminds me of too many things in my life. I hope you find peace and calm. Love the pictures. Your Amma is beautiful. Aanchal: thanks. A couple of things - 1) yes, possibly there's an undercurrent of guilt, which in one sense runs through the piece. But in the long run (and I might sound defensive here!) I think I have far less reason to feel guilty than most of the people I have seen around me (vis-a-vis their dealings with aging/unwell parents). In the past 5-6 years I have put my own life on hold for long stetches while dealing with the illness of loved ones: starting with Foxie, then with my dadi, and now mum. 2) the 1980s cinema affection mentioned here (which I then "grew" out of for several years) is that of a very young boy, so the troubled childhood may or may not have anything to do with it. But today, as an adult and a writer, I often find that I have a renewed interest and level of engagement with those films, and I think there were many things about them that weren't "mindless" at all. Fair enough:) I should have clarified- I think the guilt I sensed was more about not having learnt about your moms illness earlier than you did, and by no means intended to imply anything else. And I enjoy reading your reviews of the 80s mainstream cinema- I grew up with these movies and you have brought more insight into my view of them (and possibly some appreciation as well:)) I still find a lot of it klutzy and lacking finesse tho..but I will continue to have an open mind about it I hope:) in any case, my viewpoints on the impact of this cinema on your life are pure speculation! Agreed:) So I had to read the article a couple more times to attempt to understand why I felt what I felt. So here goes..I think the first hint of guilt was perhaps in your motivation to write such an article..the events mentioned happened some time back, and there doesn't appear to be a recent or obvious "trigger" that would prompt such a writing now, so that was interesting. The second "hint" is when you speak of events in your childhood- I sensed a helplessness maybe driven out of inability to protect your mom from the events in her life (like the time someone made a sexual overture, as well as protecting her from your dad's behavior). Also, you mention she did not pursue a second marriage- even though she had atleast one opportunity to: maybe there was a sense or realization that you were perhaps the main (or atleast contributing) reason for this.. Lastly, there is a very real possibility that I projected my own guilt of being away from my own parents onto the article when I read it. I think I exhausted all the possibilities now:) Analysis presents all the options, but the truth reveals itself much later, or sometimes not at all.. Such a brave piece to write. It rings true on so many levels. Beautifully written and very moving. Wishing you and your mother well. Lovely pics! Your mum is a beautiful woman. Incidentally, I call my mother “amma” too. :) Regarding the small talk bit: only when I started living in another city, and eventually, in another country did I realize how essential small talk was, even for engaging in a conversation with my parents. “Aur amma, kaisee ho? Aur kya chal raha hai” – such a line of inquiry was never needed when I lived with my parents. I always knew how they were, and the need for an elevator-like opening line (“Aur amma?”) was never felt. But its only now that I realize that small talk – even with loved ones – may be an essential tool to get into a deeper conversation about marriage, life, job etc. And distance from parents has its own unique characteristics – I was shocked how candidly I spoke about my girlfriend on Skype, whereas to do so in the physical presence of my parents would have been impossible. This is where the small talk helped. Once we got talking, I felt that I could discuss this with her (“achha amma, ek baat bataani hai…”) – another introductory expression I would have never had to use when I was living with them. It was a privilege to be part of and remaining a small piece in Jai's personal journey, as a a friend and admirer. I always joke that he is the living English Lexicon and biggest dark humour artist I know, at least that's what my mind always told him and showed hard facts...This guy is amazing.... grit. We are proud to be his friends... he is the first person in Delhi 20 years back, "who actually practiced what he preached". His empathy, graciousness, kindness and being considerate is something she thought us friends like she mentored her son. We all will always remain grateful to her and will remember her, always.